The story is based on Celtic legends. When a tyrant queen from the land of Temra invades the peaceful land of Kells, King Conchobar must rely on an ancient legend which foretells of an orphan who will find the mighty warrior Draganta and "bring peace to Kells for 1000 lifetimes." The legend also tells of the four Mystic Armors and Pyre the fire dragon. The recipients of the Armors are Angus, a miscreant of sorts; Ivar, a Moorish prince; Deirdre, Princess of Kells; and Rohan, a destiny-bound druid's apprentice and the young man foretold in the legend. They are joined by Aideen, a young fairy; Fin Varra, the king of Tir Na Nog; and Garrett, the eventual fifth Mystic Knight. Together, the five Mystic Knights continue to defend Kells from the Queen Maeve and all her evil magic. This show is a show that is great for adults and children to sit down together and watch. The stories are a little slow for adults but they are still good. There are lots of children in my family, boys and girls, and it is hard to get them all to agree on what to watch, but they always agree with each other when they want to watch the Mystic Knights. It is a wonderful show and I hope that they will continue to keep making it. All of the kids in my family and myself think that Vincent Walsh is the best of them all. We have seen that he has done lots of other work and think that he is doing a great job. We wish all of the actors, actresses, writers, directors, and producers the best of luck and would just like to say keep up the good work. 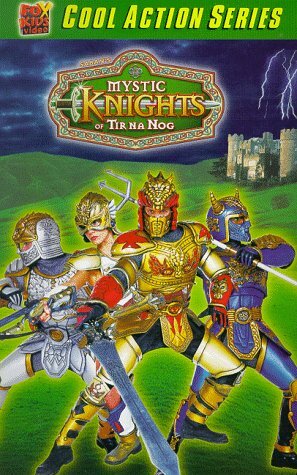 When Queen Maeve threatens to conquer the ancient land of Kells with evil sorcery, four brave warriors: Rohan, Angus, Ivar and Princess Deirdre of Kells call upon their elemental forces of Fire, Earth, Water and Air to become the Mystic Knights of Tir Na Nog and defend Kells from Maeve's cruel magic and monsters. An inspiring show with an uplifting message, great fun for kids. I particularly like the title music. download Oh, Wow! It's Like One of Those Things You See on TV!